In 1997 Shana BOUGHT THE FARM. Literally. She was not a farmer by trade nor a farmer's daughter. The farm is ever changing, and a far cry from what it was when we started pulling thistles and scotch broom, cursing the soil into the summer nights. We've always sought to be just a little bit different and always ourselves. Three generations of our family are involved in the daily operations. We each have our story as you do yours and in typical fashion there is nothing typical to it. Come and visit! 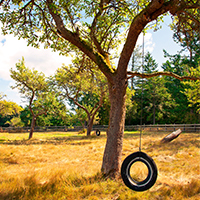 Our farm estate has a rich history dating back to the 1880's and some of the first homesteaders on Orcas Island. 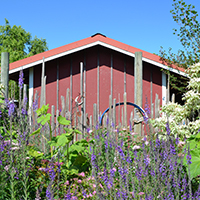 Read more about the history of the farm below or visit the Orcas Island Historical Museum in Eastsound where you can find the original pioneer cabin from our farm. A reverence for our natural landscape and environmental sensitivities drive the way we think and operate at Once in a Blue Moon Farm. Sustainability and living with nature is our way of life. We are intricately bonded to our water, our soil, our air, our future, our health, and our economy. We hope the farm stay will help inspire or compliment your efforts in rethinking the way we all live. Interested in finding out more? It is one of our passions so please ask away! 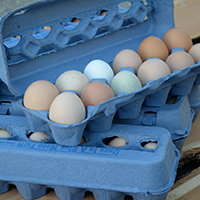 Our farm has a rich history dating back to the 1800's on Orcas Island. Stories and lore from the farm boast how the apricots were too big to fit into a canning jar. Their strawberries consistently won prizes at the county fair and even some first prizes at the state fair. 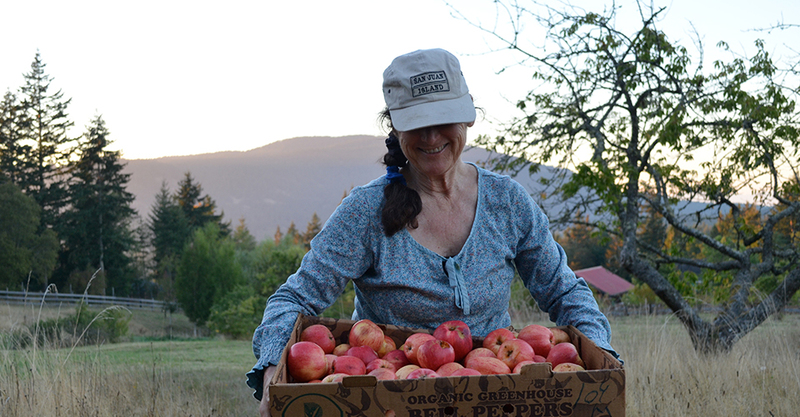 Apples and pears were shipped by boat, then train all along the West Coast and inland over the Cascades and Sierras. This farm had an orchard of hundreds of tall growing fruit trees. Rows of Gravenstein and King apples, Bartlett pears, Royal Anne cherries, Italian plums, peaches, and yes, apricots. These were the short lively years in San Juan County that boasted some of the best growing conditions for bountiful produce in the Pacific Northwest. By the 1920's, agriculture boomed in eastern Washington's newly irrigated and richer soils, easier growing climate, and access to rail lines. 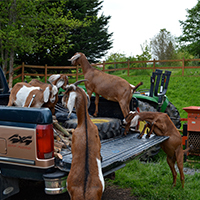 Orcas Island farms could no longer remain competitive. Legacy trees in our orchard stand at almost three stories tall. Most of these majestic trees are over 100 years old and are heritage varieties that are no longer widely available or even grown. For those who walk quietly under their huge boughs, feelings of peace and awe are sure to overcome. Still, there are many other untold stories and secrets held on this land from the impossible to the unbelievable. In 1954 the horse fell down the well! In the 1980's the owners tried to strike rich by cultivating Black Perigord Truffles! But in the 1930's the farm was bet and LOST at a poker match at a bar in Friday Harbor, San Juan Island. How can you beat that for history!? For more history of the island be sure to visit the Orcas Island Historical Museum.